Heating and cooling systems have a way of breaking down when the weather is at its worst; on the coldest day of a frigid winter, or during a sizzling summer heat wave; times when your comfort system must work the hardest, and when you need it most. Regular check-ups will help to maximize the life expectancy of your system; unfortunately, even the best maintenance won't prevent normal wear and tear. Having your system checked regularly enables us to keep your unit running as efficiently as possible, which saves you money on your utility bill month after month. These regular check-ups also enables us to catch problems such as loose or burnt wires, and freon leaks, before they lead to a larger problem such as motor failure. Click here to view our performance tune-up check list. When you have an emergency, you can rest assured Marcus Heating and Air Conditioning...WILL BE THERE! Our commitment to program customers means you get to "cut in line,, ahead of non-members, even during our busiest times! Example of savings: if the cost of a blower motor replacement was $400, you would save $80 on the repair. All repairs come with a One Year Guarantee. Dirty coils reduce efficiency and cause your unit to work harder, causing parts to wear out faster, and shorten the life expectancy of your unit. Your unit will cost you more month after month on your utility bill if the coils are not kept clean. Test performed by the EPA explain that as little as 1/10th of a centimeter of dirt or dust on a coil could reduce efficiency by 21%. Since the average homeowner's heating and cooling bill is $1,500 per year, a 21% loss in efficiency means you could be wasting up to $315 each year. Get 50 Bonus Bucks for every system for every year that you are an active member. Use like cash toward a new system! Our discounted rates save you money with every service call. Our repair trucks are fully stocked so we are able to repair 99% of calls on the first visit. This agreement can be cancelled at any time, for any reason, or for no reason, with the unused portion of your dues refunded. 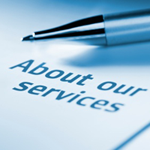 Please contact us to discuss our service agreements in more detail. We offer multi-year discounts and will recommend a program that best fits your needs.